The Maine is an American rock band from Tempe, Arizona, formed in 2007. Their first release, the EP Stay Up, Get Down was released in late 2007, followed by a five-song EP titled The Way We Talk on December 11, 2007. The band's first full-length album, Can't Stop Won't Stop was released July 8, 2008. ...And a Happy New Year was released on December 9, 2008. Their second full-length album, Black & White, (July 13, 2010) sold 22,634 copies in its first week. On December 6, 2011, the group's third album, Pioneer, was released and it peaked at No. 90 on the Billboard 200. Their fourth full-length record Forever Halloween (June 4, 2013) reached No. 39 on the Billboard 200 by selling over 10,000 copies in its first week and was followed by its deluxe edition on June 17, 2014. 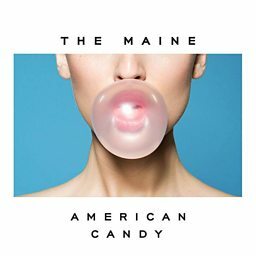 Their fifth studio album, American Candy, was released on March 31, 2015. Lovely Little Lonely, their sixth full-length record, was released on April 7, 2017. You Are OK, their seventh full length record, was released March 29, 2019.